About us – ERISA Services, Inc.
ERISA Services, Inc. was founded in 1981 to specifically focus on retirement plan design, and tax advantaged savings plans for small to mid-sized businesses. Our purpose is to help East Tennesseans become Retirement Ready. 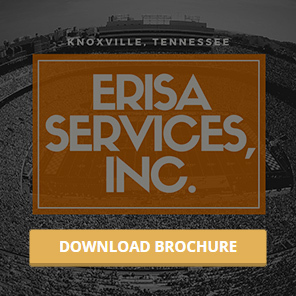 With over 37 years in business and more than 500 combined years of personnel tenure in the retirement and pension industry, ERISA Services, Inc. represents clients spanning various industries including: investment companies, financial groups, manufacturing companies, medical and other professional practices, hospitals and other health organizations, traditional family-owned businesses, and sole proprietorships. ERISA Services, Inc. is a fee based TPA organization that does not provide investment advice nor sell investments. Administering approximately 1,000 plans, and using state of the art technology to process and conduct business. Dale is the founder and owner of ERISA Services, Inc. Dale graduated from the University of Tennessee with a degree in Education. After teaching for two years, he entered the insurance and investment business and from there went into his current position. 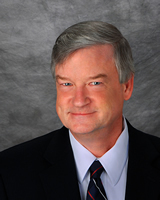 He is a frequent speaker on subjects related to Qualified Retirement Plans. Dale and his wife Teresa live in Loudon County. Dale and Teresa both were members of the Pride of the Southland Marching Band where Dale was the Drum Major for three seasons. They have two grown children, Tommy and Tiffany, who both work with Dale at ERISA Services. 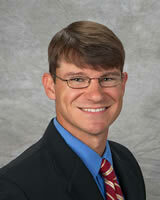 Tommy grew up in the family business, ERISA Services, Inc. and has been working with his father full-time since 2002. Tommy graduated from the University of Tennessee in Knoxville with a major in accounting. While at UT, he was the Drum Major for the Pride of the Southland Marching Band for two seasons. While in the band, he met his wife, Jessica, who was the Head Majorette for two years. Jessica also works at ERISA Services as the controller. Tommy and Jessica have a daughter, Presley, and son, Lincoln, who will without a doubt go to the University of Tennessee, march in the Pride of the Southland Band, and work at ERISA Services at some point in time.